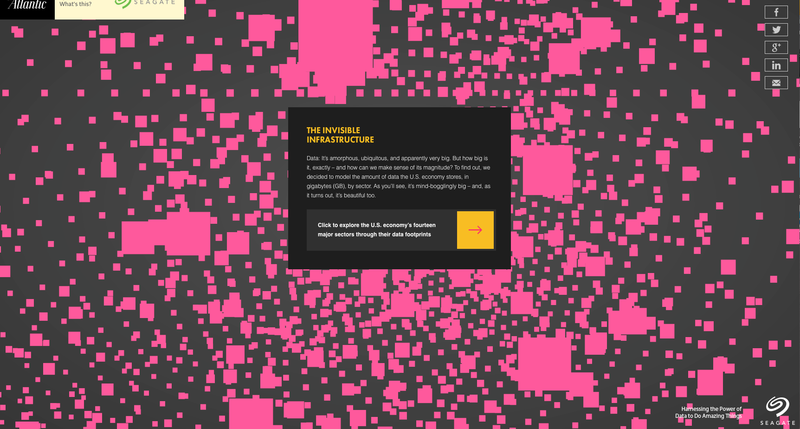 Created for The Atlantic in partnership with Seagate, The Invisible Infrastructure visualises the size of the U.S. economy in data across fourteen different industry sectors. 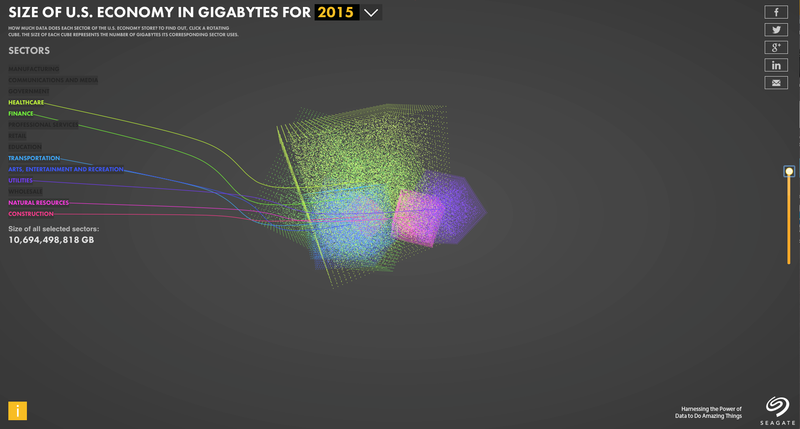 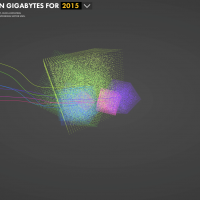 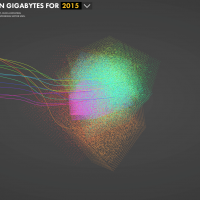 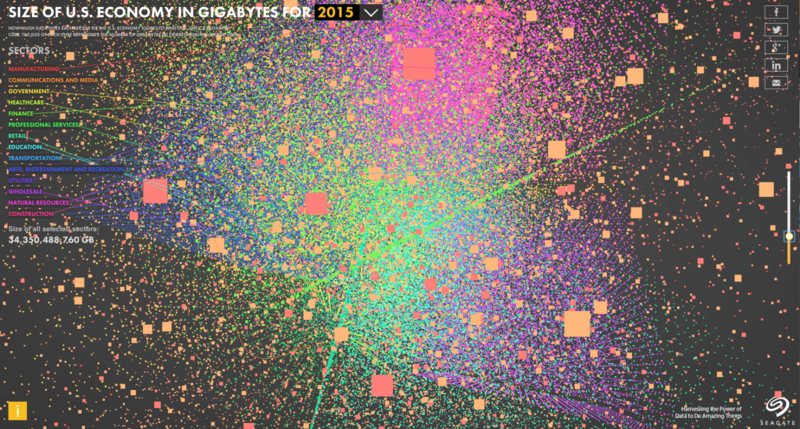 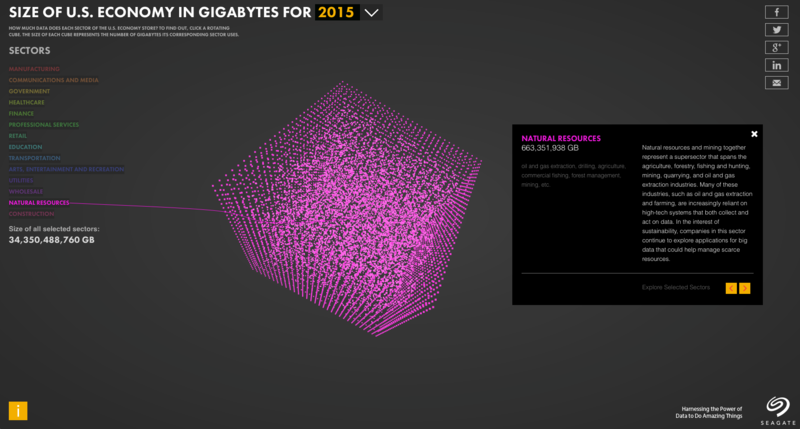 Each sector is represented by a spinning cube, it's size governed by the amount of data for that year. 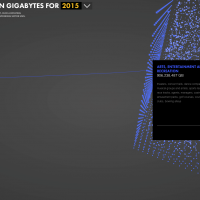 Each industry sector can be selected of deselected, changing the data total at the bottom, whilst changing the year changes the order of each industry. 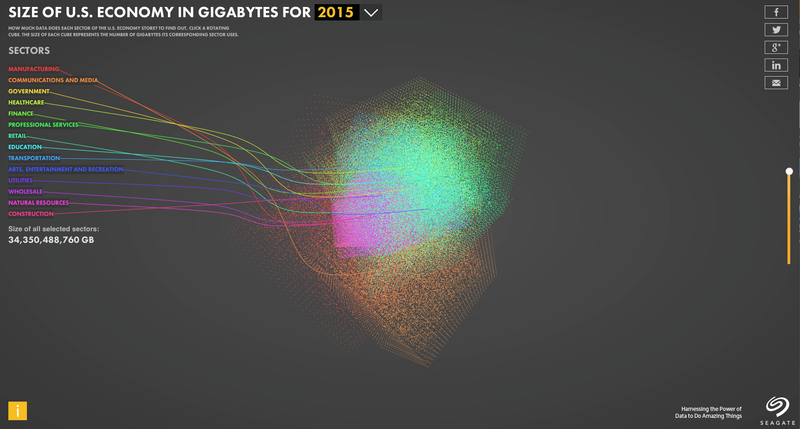 It's interesting to see how health care gradually rises in data use over the years. 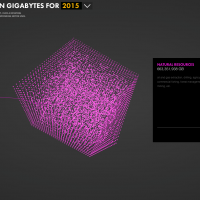 Selecting a cube allows you to read more about that industry. 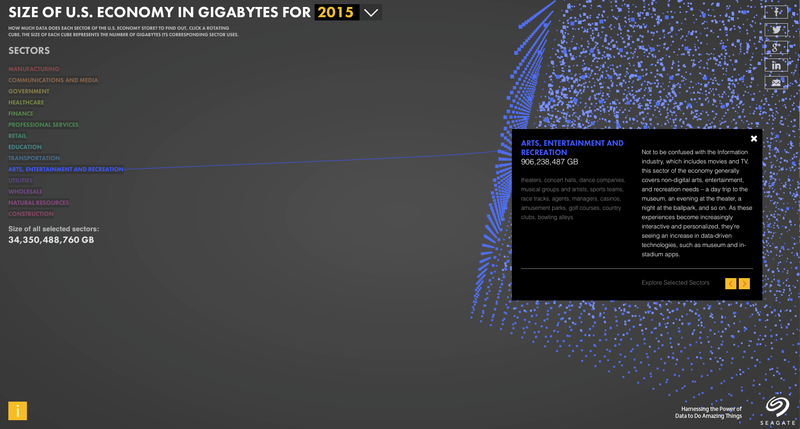 Special thanks to Emersson Barillas and Jennifer Sun at The Atlantic for working with me on this project.